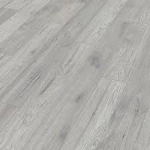 Flooring is what we are renowned for today and we have hundreds of choices of laminate and wood flooring available for your perusal in our main showroom. The following laminate and wood ranges from Horsleys are in stock (some are order only) and available to collect or arrange fitting today. We offer a free measuring and estimating service and stock a wide range of styles to choose from.